Karnataka Election Results: Exit polls have been throwing up sharply contrasting results for whether it will be the BJP or Congress who will score the maximum seats. 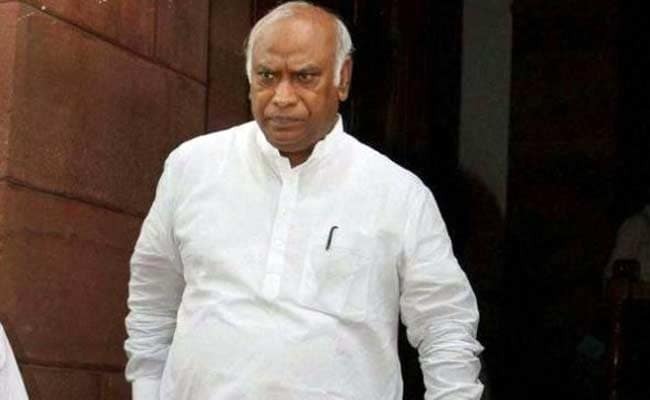 Karnataka Election Results: Mallikarjun Kharge said that alliance with Janata Dal-Secular was possible. New Delhi/Bengaluru: In a virtual admission that the Congress may fall short of a majority in Karnataka, party leader Mallikarjun Kharge said on Tuesday that an alliance with the Janata Dal-Secular or JDS was possible. He said he will discuss the possibility of an alliance with HD Deve Gowda's party with the high command. "Correct position will be known at 11-11.30 am. I am going to meet Ghulam Nabi Azad and Ashok Gehlot and we will discuss," Mr Kharge said. But he quickly added that it was too early to predict the outcome of Saturday's Assembly election. Vote count on Tuesday showed the BJP ahead of the ruling Congress. The JDS has so far been non-committal about the BJP as well as Congress. Sources say Mr Siddaramaiah's removal from chief ministership could be a rider for Deve Gowda to extend his support to the Congress. The JDS has said it is the Congress's "responsibility" to reach out if it did not get majority. A total of 222 of the 224 seats went for polls involving a three-cornered contest between the ruling Congress, the BJP and former prime minister HD Deve Gowda's party Janata Dal (Secilar) or JD(S).